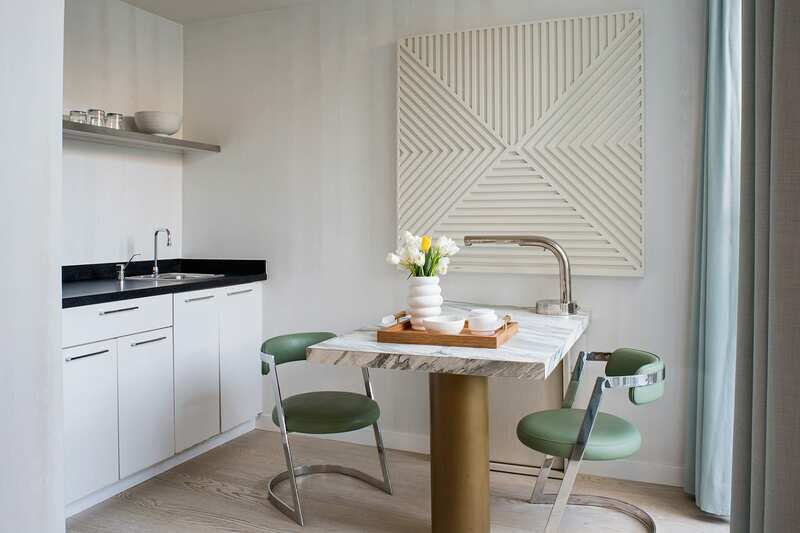 Our Studio features an open layout with kitchenette, seating alcove, bespoke furnishings and a marble bathroom to unwind. Located a few short steps from goings-on in the lobby, the Canon Building is nestled on a secluded neighborhood street with the feel of a private residence. First floor studios feature private outdoor patios. Accessible rooms available.